Those who travel on business often may have a routine already. But for beginners, a business trip might be surprising to plan. No one really starts with a manual on business trips, but with time, it’ll become second nature. Find out if the company you work for has a loyalty program or preferred clients and inquire about the rates. If you are satisfied, an employee may make all the arrangements. Usually, in these cases, your company may partner with certain hotels or other lodging alternatives to provide you a place to stay. If this is not an option and you have to book your own reservations, take a look at your datebook. Locate where most of your meetings will be and search for a hotel within close proximity. Do not forget to include the travel time to and from the airport. No matter if you travel by train, car or catch a flight, remember to pack light. Use hanging garment bags for suits or shirts and a small carry on for other outfits. Personal items should be brought to a minimum. Packing should be well thought out, consider attire for all the business and leisure time you will spend and plan accordingly. Make sure to check the forecast beforehand. Try to book back to back meetings, but be sure to leave a window of time in between each. You need to mull over the idea of being late, and try to avoid that at all costs. Think about arranging to meet clients in or around a particular neighborhood. Some may like French food, take them to a restaurant to talk. Others may just be strictly business and would ask you to go to their office instead. Once you have completed all your work requirements, take a swim or go for a walk. Most of the time business trips might be in places you have never been. It is a good a time as ever to explore what makes every city unique. This way, whenever you associate your clients to their setting, you have a picture of it in your mind. Relax if you can, perhaps see a show, or go to a nearby pub. Toronto corporate housing is available at www.torontofurnishedrentals.com. 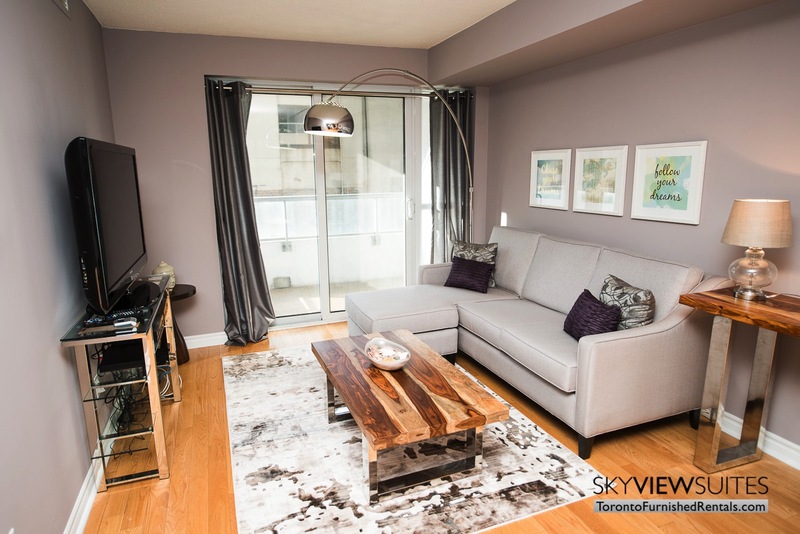 SkyViewSuites can help with every kind of furnished rental requests.